Smart Wiring is the installation of cabling between different devices throughout the home or the placement of future connection points. Smart Cabling during the building stages is a cost effective way of allowing for any changes that might be required in the future, Placement of these cable after completion is expensive, time consuming and some times unattainable. With the growth of digital TV it is important to get the right cables installed to suit your future requirements. Connecting and changing the telephone network throughout the home is now easy with a structured cabling system installed. It allows any room to be rewired by moving a patching cable in the wiring hub, Change a phone point to a fax or computer outlet, with no need for a tradesperson to attend site. 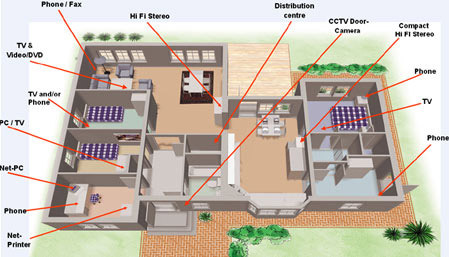 Installation of cabling for your Home Theatre Speakers and Multi Room Audio Speakers will allow a totally hidden connection. 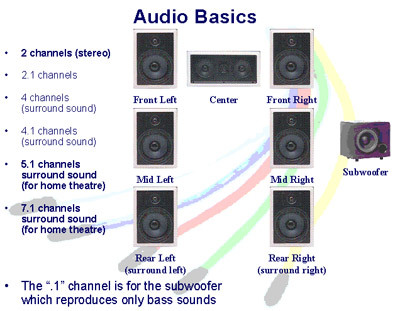 Dawson Communications has a large range of quality speakers ranging from flush mounted in wall and ceiling speakers, through to high end professional theatre speakers. Designing a good system from the start is something that can save you time and money in the long run. Dawson Communications has extensive experience in custom installations of any size. A consultation with one of our staff will set you on the right path.